Global casino operator Las Vegas Sands Corp reported on Wednesday a fourth-quarter loss of US$170 million, after reporting a profit of US$1.21 billion in the prior-year period. The decrease was primarily a result of non-recurring, non-cash income tax expense of US$727 million related to the implementation of a U.S. tax reform, said the company. Shares of Las Vegas Sands dropped more than 2 percent after the market closed on Wednesday. The casino operator missed expectations from investment analysts, reporting a 2.5 percent year-on-year increase in revenue, to US$3.48 billion for its fourth quarter versus a consensus estimate of US$3.53 billion. On a U.S. generally accepted accounting principles (GAAP) basis, the group’s operating income in the last quarter of 2018 decreased to US$874 million, compared to US$1.03 billion in the fourth quarter of 2017. Group-wide consolidated adjusted property earnings before interest, taxation, depreciation and amortisation (EBITDA) stood at US$1.27 billion in the fourth quarter last year, down 4.7 percent compared to the year-ago quarter. “The decrease in operating income was due to depreciation acceleration and asset impairments associated with our development projects in Macau. We also had softer rolling chip volume in Singapore, partially offset by stronger operating performance in Macau,” said Las Vegas Sands. On a U.S. GAAP basis, total net revenues for Sands China Ltd increased 9 percent to US$2.25 billion in the fourth quarter of 2018, compared to US$2.06 billion in the prior-year period. Net income for Sands China however declined 11 percent to US$465 million in the last quarter of 2018, compared to US$519 million a year earlier. Adjusted EBITDA in Macau was US$786 million, an increase of 7.7 percent compared to the fourth quarter of 2017, said the parent company. “We are pleased to have delivered strong financial results in the quarter, led by record mass revenues and continued growth in every market segment in Macau,” said Sheldon Adelson, Las Vegas Sands chairman and chief executive, in prepared remarks issued with Wednesday’s results. In October, Las Vegas Sands said the group is to double the amount it previously announced it would invest in renovating some of its Cotai infrastructure in the next few years. The company said it would spend US$2.2 billion in investment in Macau, including rebranding the Sands Cotai Central property as The Londoner Macao. Wilfred Wong Ying Wai, president and chief operating officer of Sands China, said in November that the revamp of Sands Cotai Central would in likelihood start after the Chinese New Year holiday, which falls in February this year. “Results were softer in both key markets, Macau and Singapore,” said a Thursday noted from Deutsche Bank Securities Inc. “The shortfall in Macau largely stemming from increased commissions, given the strength in VIP, which distorted the margin mix profile and led to a 130 basis points year-on-year margin decline,” noted analysts Carlo Santarelli and Steven Pizzella. Robert Goldstein, president and chief operating officer of Las Vegas Sands, said in commentary on the fourth-quarter performance that growth in Macau was “coming from every gaming and non-gaming segment”. “Our margins in every segment in Macau were stable or growing during the quarter, with the exception of our rolling premium direct business, where low hold negatively impacted our EBITDA,” said Mr Goldstein on a conference call with analysts following the fourth quarter results announcement. The company executive declined to quantify such impact. According to brokerage Sanford C. Bernstein Ltd, Sands China’s hold in direct VIP was likely to have been near 2 percent. “In direct VIP low hold has an outsized negative impact on profitability as rebates to direct VIP players are fixed based on rolling rather than revenue share commissions that are commonplace with junkets,” wrote analysts Vitaly Umansky, Kelsey Zhu and Eunice Lee. “As a result, low hold in direct VIP negatively impacted EBITDA in Macau. 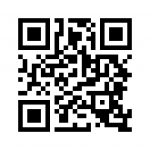 We estimate that the negative impact may have been as high as US$20 million in the quarter as a result,” they added. Mr Goldstein said however that the company’s focus cannot be on the rolling business. “It has to be on the mass side, and that’s where you sell, and I think that’s where the story resides for us,” he added. 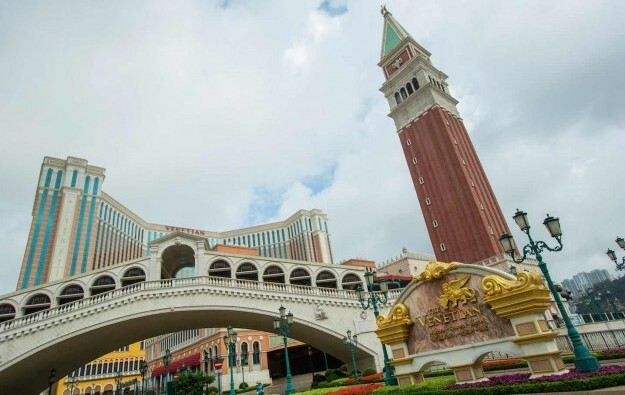 VIP gambling turnover at the Venetian Macao (pictured) rose 17.1 percent year-on-year and at the Parisian Macao 25.3 percent in the fourth quarter. At Sands Cotai Central, the quarterly high roller turnover rose by 22.1 percent, while at Sands Macao it more than doubled. Most properties in Sands China’s portfolio – namely the Venetian Macao, the Parisian Macao, Sands Cotai Central and Sands Macao – reported increases in casino revenue in the fourth quarter last year. The Plaza Casino at the Four Seasons Hotel Macao was the only property to buck the trend, posting an 8.5 percent decline in casino revenue, to US$108 million. In the group’s earnings call following the results, Mr Goldstein said Macau is “a very simple market to understand”. “It’s a mass, premium-mass market driven by scale. The VIP segment will continue to be challenging. The mass and premium mass will be the driver,” said the executive, noting the improvement in transportation infrastructure, namely the opening of the Hong Kong-Zhuhai-Macau Bridge last October. In Singapore, where Las Vegas Sands developed and operates the Marina Bay Sands resort, adjusted property EBITDA was US$362 million in the fourth quarter last year, down 20.8 percent from the prior-year period. 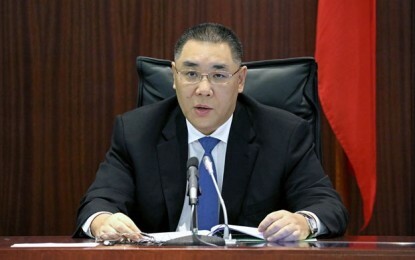 The property recorded net revenue of US$726 million for the period, down 11.6 percent from a year earlier, with casino revenue declining 17.6 percent year-on-year to US$500 million. Mr Goldstein said on the conference call that the company “enjoyed a very strong cash flow” in Singapore in the fourth quarter 2018, despite lower VIP volumes and hold. “We still remain capacity-constrained at Marina Bay Sands, and hope to have the opportunity in the future to make additional investments in Singapore. That’s a very strong market. We’ve simply run out of rooms and gaming capacity there,” stated the executive. Mr Goldstein added that Las Vegas Sands would like to see more entertainment offerings “to drive more premium mass play” in the Singapore market. “Our rolling business there has been limited for a number of years now. The growth that remains, remains in primarily foreign tourism into the market for the premium mass segment,” he added. For full-year 2018, Las Vegas Sands reported net revenue of US$13.7 billion, up 7.9 percent from the previous year, the company said in its Wednesday announcements. On a GAAP basis, group-wide operating income increased 8.3 percent to US$3.75 billion. The increase in operating income was principally due to stronger operating performance in the Macau market, said the parent company. Net income attributable to Las Vegas Sands however decreased 14.1 percent to US$2.41 billion, or US$3.07 per diluted share, in 2018, compared to US$2.81 billion, or US$3.55 per diluted share, in 2017. Full-year 2018 total net revenues for Sands China increased 14 percent to US$8.67 billion, compared to US$7.59 billion in 2017. Net income for the Macau unit increased 19 percent to US$1.90 billion in 2018, compared to US$1.60 billion in the previous year. The Macau operations delivered adjusted property EBITDA of over US$3 billion last year, an increase of 18 percent over 2017. Las Vegas Sands paid a quarterly dividend of US$0.75 per common share during the fourth quarter. The parent company announced it would increase the annual dividend for the 2019 calendar year to US$3.08, or $0.77 per common share per quarter.